• Pediatric clerkship coordinators from 119 medical schools responded to a questionnaire about administration, resources, goals, instructional design, evaluation, and perceived strengths and weaknesses of their own programs. Problems were reported in the definition of objectives, the evaluation of students' knowledge, interviewing and physical-examination skills, and problem-solving ability. A dedicated faculty and house staff interested in teaching and a large and varied patient population were perceived as strengths of many programs. 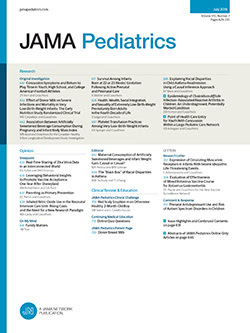 Weaknesses cited included a lack of uniformity in students' experience, insufficient time spent on the pediatric clerkship, too many students with decreased faculty contact, overemphasis on tertiary care, an inadequate ambulatory experience, lack of specific objectives, and unsystematic evaluation methods. It is hoped that this survey will provide an impetus for further fruitful exchanges among clerkship directors.